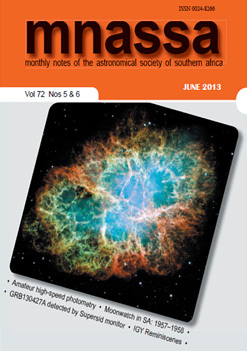 The Astronomical Society of Southern Africa (ASSA) [Constitution] is a body consisting of both amateur and professional astronomers. Membership [Join the Society] is open to all interested persons, regardless of knowledge or experience. Shortly after the 1910 apparition of Halley’s Comet, the Cape Astronomical Association was established (1912), with S S Hough, HM Astronomer at the Cape, as President. In 1918, the Johannesburg Astronomical Association was created, with R T A Innes, Union Astronomer, as President. In 1922 the two Associations merged to form the “Astronomical Society of South Africa”. the dissemination of such current astronomical information as may be helpful to observers and others interested in astronomy. The ASSA Council serves as the umbrella body for the autonomous Centres of ASSA, which are situated in various parts of the country. These local Centres hold regular meetings to which visitors are welcome. Full members of any Centre automatically become members of the national organisation. 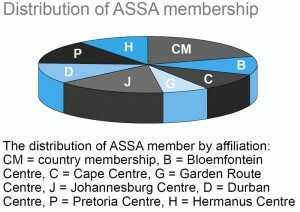 Prospective members of ASSA are encouraged to join the Society via one of the Centres, but for persons who are not able to do so, a separate class of membership (Country Member) is available. Further details are available from the ASSA Secretary, or the relevant Centre Secretary. 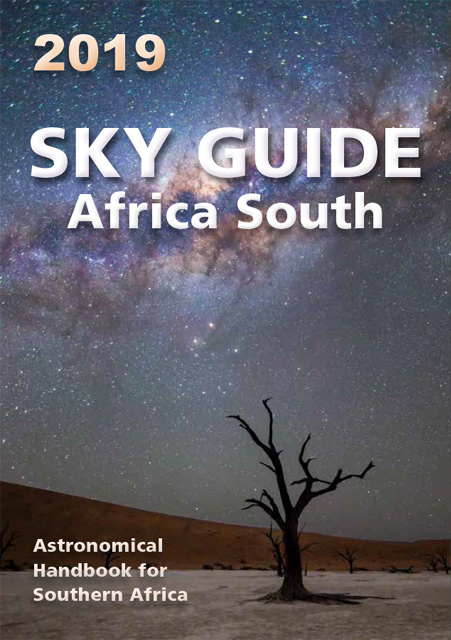 In addition to the annual Sky Guide, the Society issues the peer-reviewed Monthly Notes of the Astronomical Society of Southern Africa (MNASSA), published electronically six times per year. Various Sections exist within the Society to coordinate the activities of special interest groups and observing programmes. The Society awards the ASSA Scholarship, and administers the SAAO-ASSA Scholarships. From time to time, the Society holds a symposium where a variety of astronomy-related papers are presented, both by invited guest speakers and from the membership.